Floor space: 55" x 46". Consists of: 1 armchair with right armrest (ref: 20025), 1 armchair with left armrest (ref: 20026), 2 pouffes ( ref: 20027). 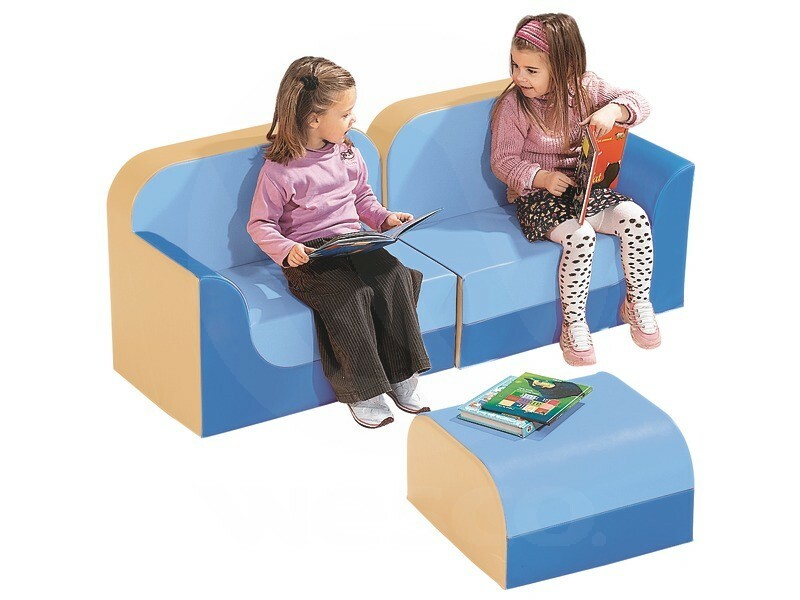 Seat height:9 3/4"
These products are made from high density foam fire retardant jersey-lined vinyl covers. Easy to clean with soapy water. The outer side of the armrest is straight so that several pieces of furniture can be easily placed side by side. Anti-slip base. Phthalate free.